How do scientists study human genetic diseases? If you’re interested in science and investigation, the Biotechnology Explorer Program at Carnegie Mellon Qatar is your opportunity to explore the study of human genetic diseases. You will carry out microscopy, staining, data collection and bioinformatics to diagnose genetic links to human diseases. 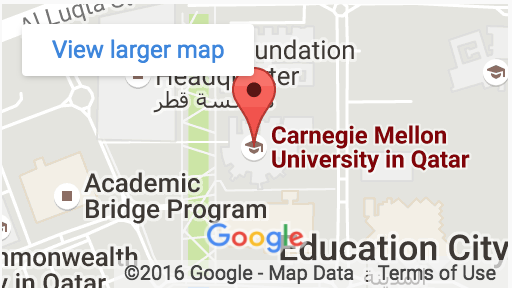 Along the way, you’ll learn more about the Biological Sciences Program at CMU-Q and meet some of our students. Get your lab coat on! Applications are now closed! Stay tuned for future sessions. Questions about Biotechnology Explorer Program?